Managers at amusement parks can give their back office operations a necessary boost by investing in cash counters before spring summons a new busy attendance season. Visiting destination attractions that include everything from roller coasters, food and games is a timeless activity among many American consumers. However, that doesn't mean these enterprises are immune to the effects of the current U.S. economy. The online publication Daily Finance recently reported that some of the major players in the amusement park industry have experienced slowed growth in the last few months. For example, Six Flags and Cedar Fair, which both released their final quarterly earnings for 2013, generated a relatively small boost in revenue throughout the entire year. Six Flags measured 6 percent growth, and Cedar Fair witnessed a 4 percent jump. According to the website, these numbers are more a direct result of admission price increases more than anything else. Because of these trends, Daily Finance argued that managers at these organizations and other similar amusement park businesses should be more proactive about targeting more guests. Many of these attractions shut down during the winter months, but enterprise owners can use this time to develop strategies that lead to stronger performance in the near future. A recent article in the online publication Theme Park Insider suggested that focusing on improving the quality of food served to attendees is a particularly effective strategy. Offering unique, high-quality refreshment options will give another reason for people to spend a weekend enjoying these attractions with family or friends. Managers can also experience faster growth by using automated money counters to replace manual tasks in the back office. Most amusement parks receive large volumes of cash on a daily basis both from entrance fees and for other purchases made within the confines of the property. Rather than having staff members spend a large portion of their shifts counting and sorting this money, a reliable cash counter can perform the same procedures in a matter of minutes. 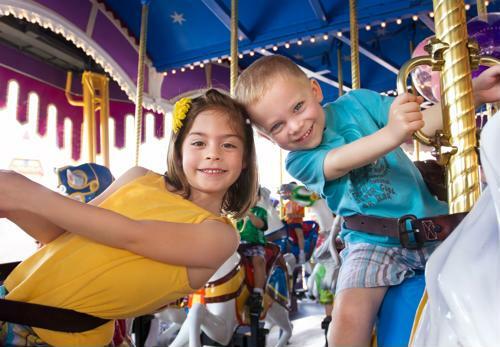 This creates a unique savings opportunity for amusement park businesses. When staff members are able to focus their efforts on other pressing issues outside of the back office, the enterprise as a whole will be more prepared to solve other problems affecting long-term growth.